At M O’Brien we know that following the demolition of a site, removing all unwanted construction waste and they buying in new aggregates for a new build can prove to be a very costly process. To help make this process more cost effective and sustainable we offer on and off site concrete crushing. This allows you to recycle unwanted demolished materials into useable building materials, saving you time, money and lorry movements. Our concrete crushing services can be flexibly delivered. 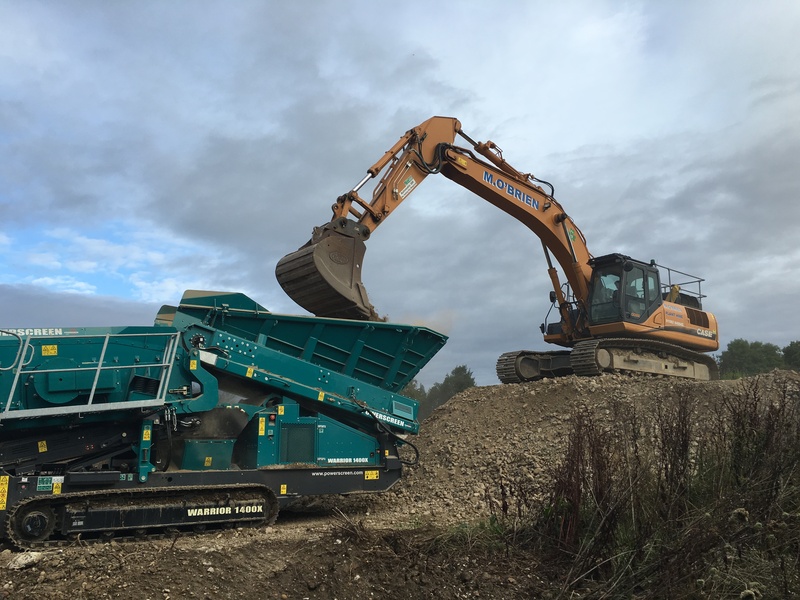 Either as a complete waste management solution following demolition or via individual crusher hire. Each of our crushers will operated by a fully trained and experienced operator. This ensures that we offer a seamless, safe and professional service every time. We pride ourselves on our efficiency and always ensure we leave sites clean and tidy at the end of the working day with quality materials ready for re-usage.